My goal for 2017 is to complete my Adirondack 46 – that is, to climb the 46 peaks of the Adirondack Mountains that are (or were once thought to be) above 4000′. I began this quest some forty-plus years ago, and decided to polish off the list. In March I set off to conquer the remote and entirely uninteresting peak of Couchsachraga, in beautifully perfect winter conditions. Much to my disappointment, I was forced to turn around just a bit short of my goal. Breaking trail through several feet of fresh powder, and following the unmarked informal herd path, turned out to be too much for me that day. This weekend I returned to make another attempt, catching a window of beautiful summer weather. Check the photos, and read on. David took a series of springtime hikes – many with Ken and Karen – to train for a summer trek. He climbed Mount Cube, Mount Ascutney, Black Mountain, Moose Mountain, and Mount Moosilauke. 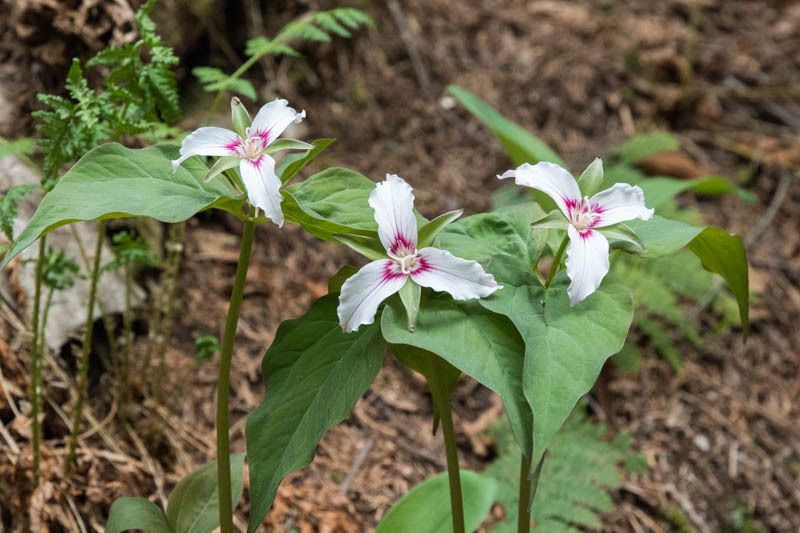 Springtime flowers brought color to the otherwise drab forest at this time of year – check out the photo gallery.